What Comes Next In Public Worship? In the last century (that is the 20th century!) we were all safely nestled within our denominational and traditional walls. We used the hymnals of our choice. Without too much questioning, we sang the songs our parents taught us and employed the orders of service handed down to us. We wondered about those “other” Christians and thought their songs and services strange and foreign to our well-trained eyes and ears. That was then. This is now. Today Pentecostals are doing ancient liturgy and Southern Baptists are raising their hands when they sing. Evangelical Episcopalians, Lutherans, Presbyterians and Methodists are having “contemporary” worship services. Pentecostals are doing social justice ministry, starring on Broadway, making mainstream movies and running for public office— each ministry a stark departure from the “come out from among them” holiness teaching of the 20th century. The Cult of Personality. We have seen pop culture produce the cult of personality. “Celebrities” are truly the objects of celebration and worship in our society. It is easy to see reflections of this in Christian pop culture. The cult of personality which has long plagued Pentecostal/Charismatic life has now gone church wide. Culture-driven Worship. We have raised a generation that is used to being served by the worship service. They had children’s worship when they were children, youth worship in their teens, and young adult worship in college. the “whole family” failed to benefit from their creativity and fresh insights. Now these young adults are coming into power in our churches, sometimes with little sense of history and minus a theology of the church as a family. We have taught them to be served by the worship service (to expect their music and their methods) and now they are shaping our churches in their image. In these two ways, –cult of personality and culture-driven worship services–the church is a reflection of the world it is trying to reach with the gospel. The seeds of these phenomena were sown into our young leaders when they were children. So, what is next? Examine the curricula of the schools and of our own church classes. Watch the films and TV shows and listen to the music. The seeds of the next harvest of change are being sown today into the lives of our children through the schools and the media. How do we determine from a biblical standpoint what should and should not be done in public worship? While many forms of cultural expression may be offered to the church as she sinks her roots deep into the different nations of the world, there have to be biblical, and therefore trans-cultural, truths that guide everyone. An important key is to properly apply scriptural truth is to know the differences between principles and directives. I believe the New Covenant calls for public worship based on at least three non-negotiable, unchanging, trans-cultural principles. Since these three things are presented as the ways of the Holy Spirit, they are always true, for everyone, everywhere. These are the absolute truths of worship; in Francis Schaeffer’s language, they are the universals. In contrast to the universals (the principles), Francis Schaeffer would call these the particulars. If all of these ways of worshiping are “scriptural,” how do we know when and where to do what? Leaders and congregations need to be so thoroughly schooled in and sensitive to the ways of the Holy Spirit that we know when He is leading us to do something and when He is not. What are the three principles? True Worship is centered on Jesus, exalting him, not the worshiper. True Worship is done decently and in order. It makes sense to the senses. It avoids emotionalism while moving the emotions. It challenges the intellect, rests the body and honors the Lord Jesus. I believe these three ways of the Spirit are always true for every worship service anywhere, anytime. They become the tests of all potential modes of public worship whether they are directives from Scripture or cultural expressions without a biblical reference. Let’s practice this method of theological reflection. The scriptures equip us to judge whatsoever may come next in the light of eternity not just the momentary preferences of culture. Then, as and if the Spirit leads, it is possible that this expression can be of use to the Holy Spirit. These are stringent tests to be sure, but shouldn’t they be? Shouldn’t leaders be passionate, open, and careful in the ways we choose to lead people in worship? It is not our job to perfect worship and pass it on to those who come behind. It is our job to reform worship by the book in our generation while raising up a thoughtful, passionate leaders who are biblical reformers for the next generation. It is futile to resist change. It is our job to lead change, biblical change and culturally relevant change. 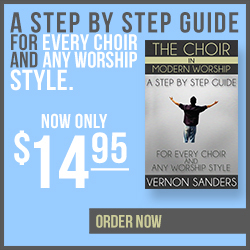 We need to Hold on to the whole family concept of the church expressed in the hymnal. We should listen to the culture of today on our IPods. 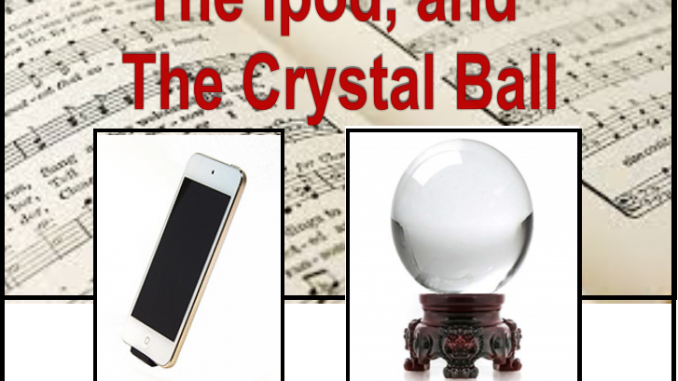 It is right for us to gaze into the crystal ball and try to imagine the future as we examine what today’s children are being taught. Then, let us test all things by Scripture. While we are judging all things, Let us pour tons of truth into the worship you lead. Let us teach the children and youth the ways of the Spirit of God and the truths of the Word of God. As we truly worship God, He will raise up a generation of biblical reformers. In artistic languages we have not learned, with unforeseeable media and methods, if we hold to Scripture, this is what is next. I am so glad you found this article helpful.